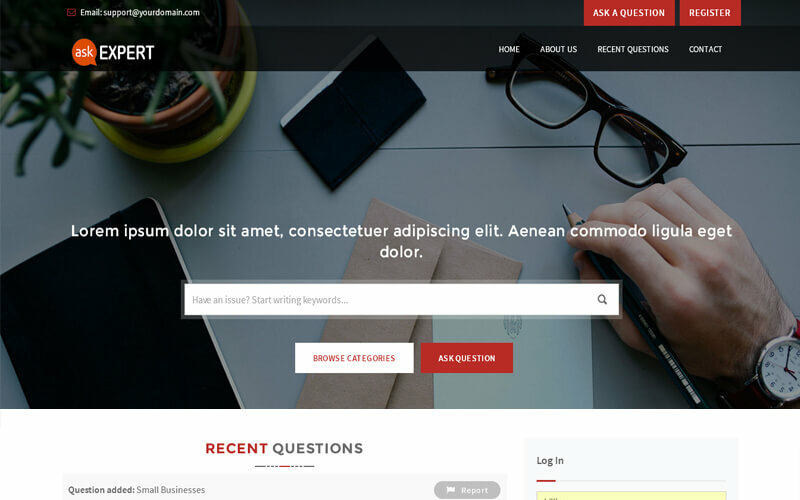 Our Ask Expert Script enables you to build a website through which you can build a large community of online users who seek answers to their questions as well as to share their knowledge by answering the questions that posted by other users. We have unlimited categories and sub-categories to allow users to ask anything which they find worth knowing. Ask Expert Script is not only help the users to freely ask what they wish to know but also serves as a discussion forum to point out or find the specific answer and give their honest views. Main advantage of this Answer Script is VOTING SYSTEM, the viewers can vote for the best answers which in turns help the other users to find the answers to the popular questions easily. Responsive and user friendly: Our product is 100 % responsive and has user friendly navigation. Monetization: The users will pay a certain specified amount in order to post and keep their questions on the top so that they are answered on a priority basis. This will generate good revenue for you. SEO optimization: SEO friendly optimization which will always get your website the maximum number of hits. Admin Rights: Admin has the rights to add, delete, modify, manage the categories, sub-categories, postings, reviews, users and perform all activities necessary to run the website. Social media integration: Social media integration serves as time saving factor as people do not need to spend much time for registration. They can import their profile from social media sites by just a single click. Customization: Flexible open source code which enables you to easily customize as per your desired requirement. Go Next Now: Once you buy the Ask Expert Script, your website will online within the next 24 hours! It’s extremely good. I strongly recommend. Ask expert site is an advisory script to buy and get enhanced with all new answers for the posted questions. I was benefitted a lot from this script and it is affordable also. It was simple and easy to use.